“CAGJ’s strength comes from our members and community” Please donate today! 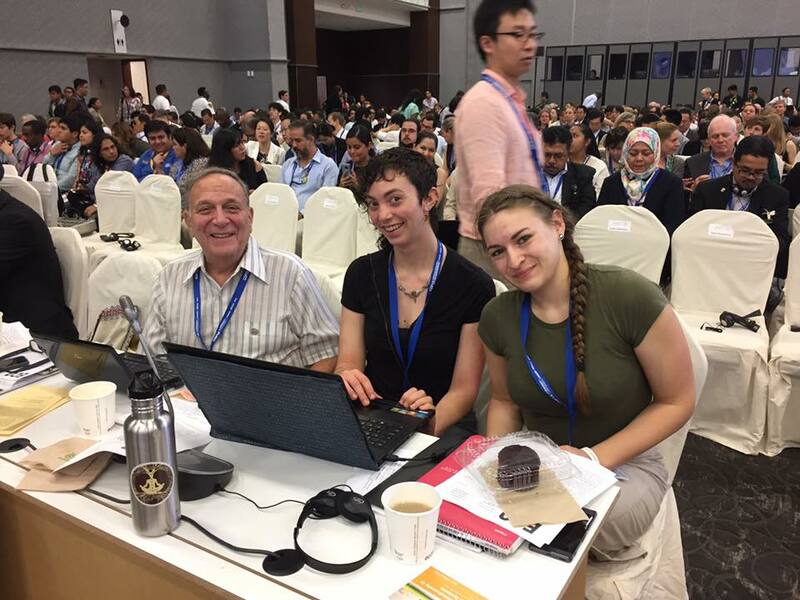 L-R: Phil Bereano, Simone Adler, and Johanna Lundahl during the COP13 negotiations on the UN Convention on Biological Diversity in Cancun, Mexico. 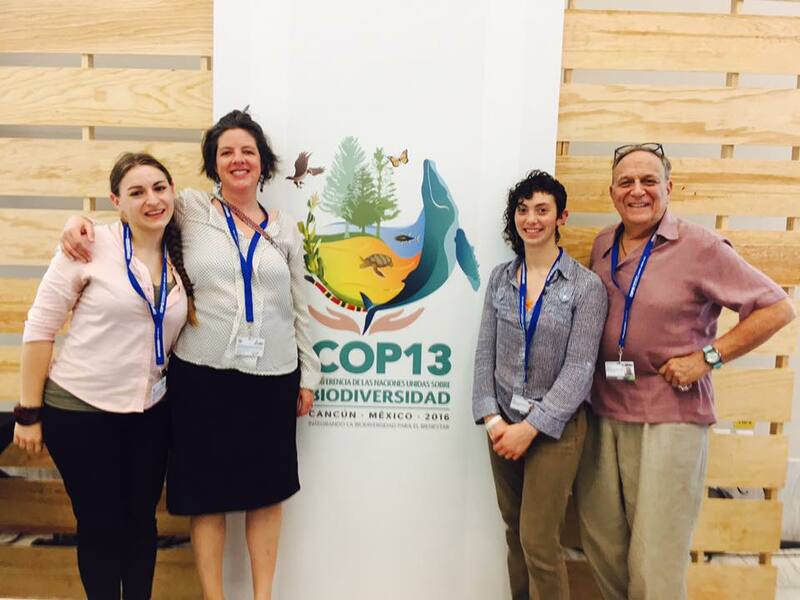 After interning with AGRA Watch for the past five months, I had the to opportunity to travel to the UN Convention on Biological Diversity Conference in Cancun, Mexico with other CAGJ leaders the first week of December. I am so grateful to CAGJ for supporting the participation of new leaders like me in strategic conferences. Will you support CAGJ today with a generous donation, so we can continue to focus on developing strong social movements leaders? In Mexico I participated in lengthy discussions with our African partners about how AGRA Watch can continue to be a strategic partner to the African food sovereignty movement. We witnessed up close how international treaties such as the Nagoya Protocol and the Cartagena Protocol are negotiated and implemented. We also observed an aggressive pro-biotech propaganda machine at work within the space – including the Cornell Alliance for Science, funded by the Gates Foundation – and how it was influencing the negotiations. We spoke powerful and important truths to the powers behind the scenes through hosting a side event for government and industry representatives, titled, “Biodiversity Under Threat: The Gates Foundation and the Capture of African Biodiversity”, which including a lively (at at times heated) discussion about the nature of interference in African agriculture (read a report and see photos of the side-event). Through all of this work we strengthened longtime relationships, and made many new and important connections with international organizations and researchers who will be vital to our work going forward. I have learned so much through my work with CAGJ so far, and I feel so honored to have gotten this experience on an international stage. This experience strengthens my understanding of and activism on these complex issues, and I will continue working in solidarity with those fighting for a more just, and sustainable food system. But we can’t do it by ourselves! CAGJ’s strength comes from our members – the community of people who give their time and money to our cause. With only two paid staff, much of CAGJ’s research and organizing is supported by volunteers like me, and other members of our community contributing in any way that they can. Could you support us with a gift of $10, $25, $100, or an amount of your choosing? Any amount that you can give however small, would be such a huge support. P.S. Check out our photos and blogs about the UN Biodiversity Conference. P.P.S. We are getting close to our goal of 15 new Monthly Sustainers to celebrate 15 years of organizing for global justice! Sustaining Members agree to have funds automatically deducted from their account, allowing CAGJ peace of mind, and more time to focus on organizing. Please consider becoming one today at $15/month, or whatever amount you can afford! Just click the box next to “I want to contribute this amount every month”.